NAGOYA, Japan (IDN) – Education for global citizenship, funded among others through tax on financial speculation, will not only promote enlightened patriotism but also foster the cause of peace and counter nationalistic and fundamentalist trends, says Professor Carlos Alberto Torres in an exclusive interview. Professor of Social Sciences and Comparative Education at the UCLA (University of California, Los Angeles) Graduate School of Education and Information Studies, Torres is a leading expert on issues related to global citizenship. For the last decade, he has been working from a global perspective on human rights, pluralism and citizenship. He has contributed significantly to defining the theoretical perspective of educating the global citizen. Together with some of his colleagues, he established in 1991 Paulo Freire Institute and is currently serving as its Director. AHMEDABAD, India (IPS) - Education for Sustainable Development (ESD) brings together concerns about the environment, economic development and social aspects. Since 1972, when the first UN Conference on the Human Environment was held in Stockholm, Sweden, there has been increasing awareness of the intricate link between conserving the environment and human development. But the 1976 UN Conference on the Human Habitat was perhaps the beginning of the realisation that development and environment had to be dealt with together. By the time of the first Rio conference in 1992, the deterioration of the environment was recognised as a global issue. GENEVA (IDN) - While existing tensions in Northeast Asia continue to be a source of concern and urgent action is required to diffuse these and bring about meaningful cooperation, a nuclear-weapon free zone (NWFZ) in the region is possible and should in fact be a priority, according to an international conference held in Ulaanbaatar, Mongolia, on November 26. “Possession does not prevent international disputes from occurring, but it makes conflicts more dangerous. Maintaining forces on alert does not provide safety, but it increases the likelihood of accidents. 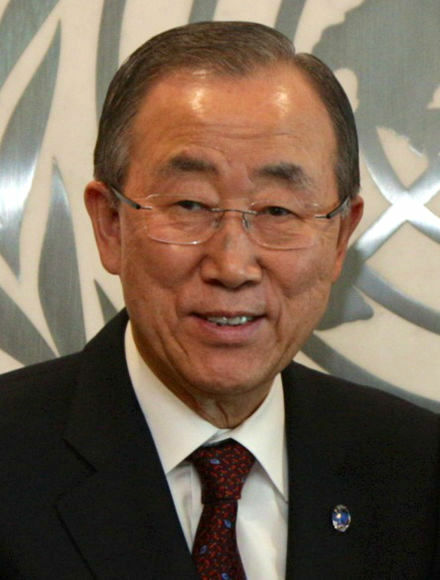 Upholding doctrines of nuclear deterrence does not counter proliferation, but it makes the weapons more desirable.” - UN Secretary-General Ban Ki-Moon. 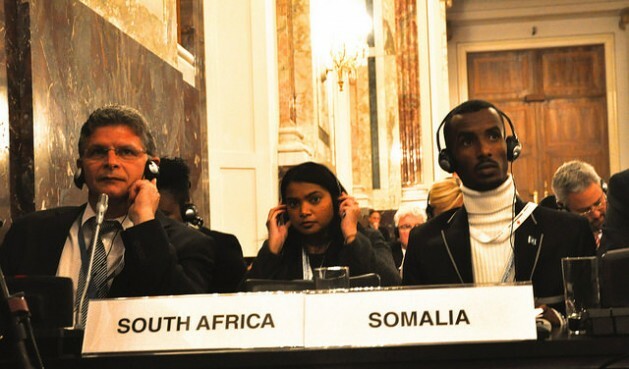 BERLIN | VIENNA (IDN) - Nearly a thousand people crammed into the conference hall in the majestic Hofburg in Vienna for two full days of discussions on the unspeakable and unimaginable theme – the humanitarian impact of nuclear weapons. This was the third in a series of state-sponsored conferences taking place outside of the UN, the first two having taken place in Norway and Mexico. VIENNA (IPS) - Sarcastic laughter erupted when a civil society representative expressed his “admiration for the delegate of the United States, who with one insensitive, ill-timed, inappropriate and diplomatically inept intervention” had “managed to dispel the considerable goodwill the U.S. had garnered by its decision to participate” in Vienna Conference on Humanitarian Impact of Nuclear Weapons. VIENNA (IPS) - Ahead of the Vienna Conference on the Humanitarian Impact of Nuclear Weapons, activists from all over the world came together in the Austrian capital to participate in a civil society forum organised by the International Campaign to Abolish Nuclear Weapons (ICAN) on December 6 and 7. UNITED NATIONS (IPS) - Civil society groups are urging the UN General Assembly to pass a resolution declaring nuclear strikes on cities to be a clear-cut violation of international humanitarian law. 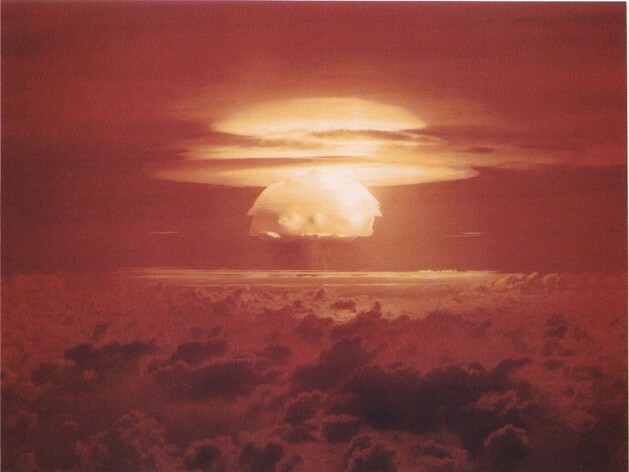 At the December 8-9 Vienna Conference on the Humanitarian Impact of Nuclear Weapons, supporters of the proposed resolution argued that after Hiroshima and Nagasaki, it is undeniable that the explosion of a nuclear weapon on a populated area would engender destruction beyond acceptable human limits. 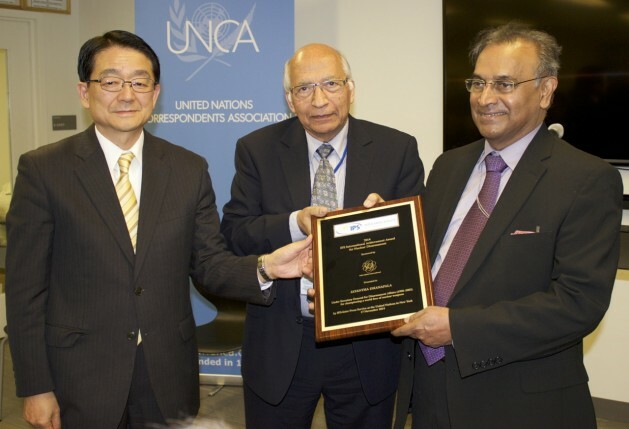 UNITED NATIONS (IPS) - Jayantha Dhanapala was awarded the IPS International Achievement Award for Nuclear Disarmament on November 17 at the United Nations in New York. Dhanapala, UN Under-Secretary-General for Disarmament Affairs until 2003, has remained committed to the goal of a nuclear weapons-free world since leaving his post, presiding since 2007 over the Nobel Prize-winning Pugwash Conferences on Science and World Affairs. “A nuclear weapon-free world can and must happen in my lifetime,” Dhanapala told attendees at an official ceremony sponsored by the Buddhist organisation Soka Gakkai International. NEW YORK (IDN) - As an American actor Leonardo DiCaprio, the newly appointed UN Messenger for Peace, warned some 120 heads of states at the UN Climate Summit on September 24, impacts of climate change and global warming have been perceived more dangerous and globally widespread and it has become the gravest existential threat to humanity. While he urged governments and industries to take an immediate and decisive actions to tackle this global issue, he stressed that protecting our future on this planet depends on “the conscious evolution of our species”. Climate change is a problem requiring new and transformative solutions. In order to achieve the goal of sustainability, the role of public-policy makers, governments and international institutions as well as of the private sector and the academia is essential. 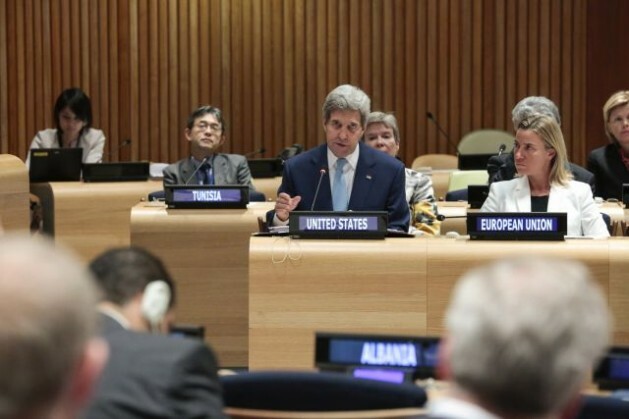 Taking a cue from the United Nations, the first “International Conference on Global Environment, Carbon Reduction, and Eco-Drive as a solution towards sustainability” was held on October 17, 2014 at the United Nations Headquarters in New York. It was co-hosted by the World Association of Former United Nations Internes and Fellows (WAFUNIN), the ASUA Corporation of Japan and the Permanent Mission of Romania to the United Nations.